In his book, Traction-Getting a Grip on Your Business, Gino Wickman tells a story which needs to be consider by both businesses and nonprofits. Picture a small plane flying across the Atlantic Ocean. Halfway across the captain announces.” I’ve got bad news and I’ve got good news. The bad news is that the gauges aren’t working. We are hopelessly lost. I have no idea how fast we are flying or in what direction and I don’t know how much fuel we have left. The good news is that we’re making great time. Management meetings often center on solving the crisis of the day or celebrating the lasts success, but metrics, the airplane’s gauges, are not often reviewed. In some cases they don’t even exist. A well run for-profit business makes it a habit to review the most basic of metrics, their financial statement. Their metrics might be sales, expenses, market share, and a projection of future business. There is no hesitation to share with the leadership team the profit and loss statement for the previous month, the year-to-date results or a comparison to the activity for the same period last year. The discussion then concerns an analysis of the activities which produced those results, the lessons learned and possible plans to correct issues which occurred or build upon successes. Understanding these financial results often requires analytical stills not shared by all in the leadership team. A more graphic presentation of the data is needed to help analyze the situation. Our experience with nonprofits is somewhat different. Although the leadership understands the need to be financially sound, its primary motivator is service to those it serves. Those it serves might be their clients, members, or funding agencies. The discussion at these leadership meetings tend to be more issue focused, such as the status of a fund raising project or pending regulations. Metrics and graphic presentations are mostly absent during these meetings. 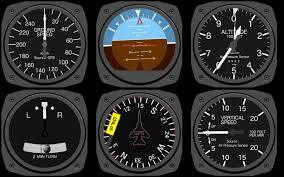 As a pilot in your organization, do you have a set of gauges to read to determine where you are, where you’re going and if you have enough gas to get there? Organizations may define those gauges as either a scoreboard of dashboard. These two terms are often interchangeable but there is a subtle difference. A scoreboard graphically represents data gathered from recent history. A scoreboard graphic might represent the sales from the previous month or the number of new members who joined the association last week. Like the gauges in an airplane cockpit, a dashboard indicates a current situation, such as the sales of a specific item this day or number of people who have currently registered for a conference. A manufacturer of custom machines needed a way to understand their workload over the coming months. The machines were delivered based upon orders received and a promised delivery based on the amount of work required for each machine. Some items could be delivered in as short as 4 weeks, while others required 8 to 12 weeks. As a planning process, it was important to balance workload and purchases to satisfy requirements. The analogy used in understanding the process was the filling of buckets. Is this month’s bucket full? How about next months and two months from now? To graphically show the process, a simple bar graft was developed with three bars, each representing one of the months in the planning process. This graph highlighted variations in the work flow and indicated areas where production could be adjusted. I recently had the opportunity to visit a nonprofit which I had been involved with during its initial launch. The group was founded by a dedicated individual who had worked with the homeless and realized that a real impact in their lives would be to teach them the stills necessary to find meaningful employment. At the beginning, he was successful in placing individuals at a rate of 50 per year. Over a number of years he discovered that real success was not just in placing individuals in jobs, but providing them with the resources and support to help them maintain employment over the long run. The new executive director demonstrated a much refined scoreboard system, where the metric was not just placement, but longer term employment success. 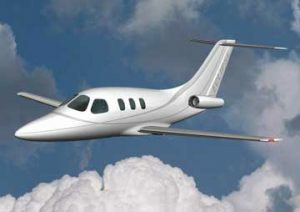 Each client was entered into a database and their success was traced over the next several years. This scoreboard helped to reshape programs and have a significant impact on their efforts. Dashboards are more like the gauges on your car’s instrument panel. They provide either instantaneous or daily metrics. In most cases, they are used in the business environment and we have seen no examples of use in the nonprofit world. One common example is the tools used by websites to track the impact of blogs and articles, such as this one. Within days of publishing this article, we will receive a graph showing the number of people who opened this article and those who spent the time reading it through to the end. The retail industry also uses a type of dashboard to track the sale of inventory items in a store and make adjustments in purchasing and marketing as a result. This is a long established truth in both management and leadership. Historically the financial statement was that measurement, but to many that does not have the impact of a visual display in the form of a dashboard or scoreboard. Think of the immediate impact on the pilot reading the gauges in the cockpit and that of reviewing a multipage report of numbers. Which is the more motivating?